Volkswagen’s all-new Touareg is built for the driver who chooses where they’re heading and exactly how to get there. With a rugged exterior ready to handle anything, combined with pure sophistication, the Touareg exudes confidence. 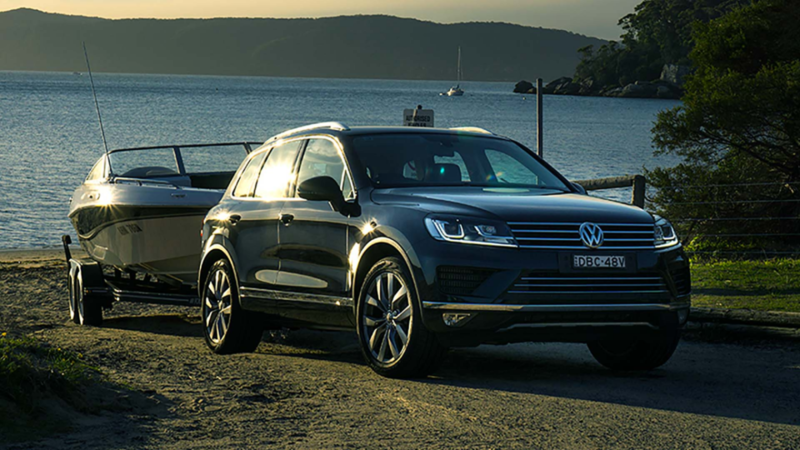 Awarded Australia’s Best Cars Best AWD SUV $65-125K award for 2014 and Best Luxury SUV over $60K in 2013, 2012 and 2012, the Touareg is a proven SUV with plenty of status. With a commanding and vigorous exterior and with plenty of elegance, this award-winning vehicle breaks the mould of a luxury SUV. The elegant exterior conveys prestige and commands respect from one the first look. 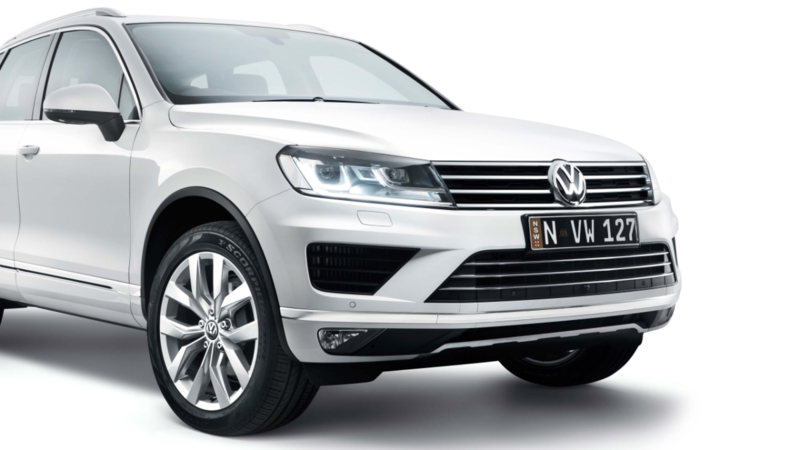 The Touareg’s sophistication is further enhanced by the new front end design, colour options and alloy wheels. The new front end design forms a broader radiator grille and handsome bonnet that crafts a dynamic new look. Completing the new look front end are the dynamic BI-Xexon headlights with cornering lights and LED daytime driving lights. Stylish and innovative, the new headlights offer increased illumination, higher durability and power saving technology. 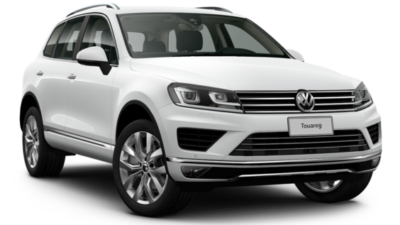 Topped off with chrome tips and a range of striking paint finishing, the Touareg stands out as a superior luxury SUV. The Touareg’s interior is designed for premium-class comfort to accommodate drivers and passengers that are ready to take on anything but also appreciate the finer details. Feel the comfort of the 14-way electrically adjustable front seats, appointed in either luxuriously smooth Vienna or Nappa leather. 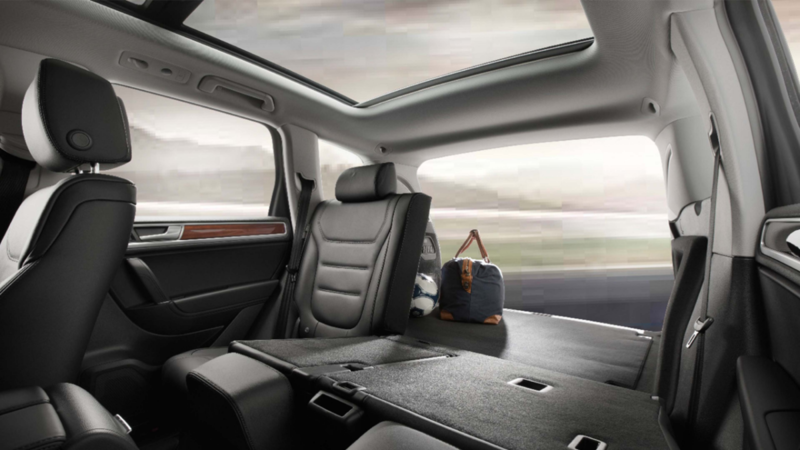 Never compromising comfort or functionality, the generously proportioned interior and high seating makes getting in and out of the Touareg a breeze. Accentuating the interior is the new “Sapelli mahogany” ornamental wood trim inserts that highlight the sophistication with an understated touch of elegance. 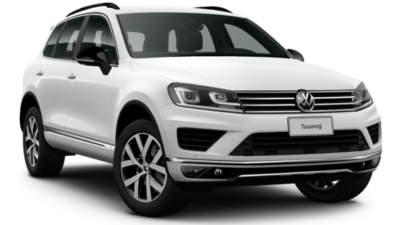 The Touareg’s elegant design never comprises power with the performance to take on any path you choose to take. With seamlessly produced power and improved toque, backed with Volkswagen’s 4MOTION permanent all-wheel drive, the Touareg is ready for anything. The range of turbocharged diesel (TDI) engines feature the latest in common rail injection technology, making them highly responsive, incredibly efficient and exhilarating to drive. 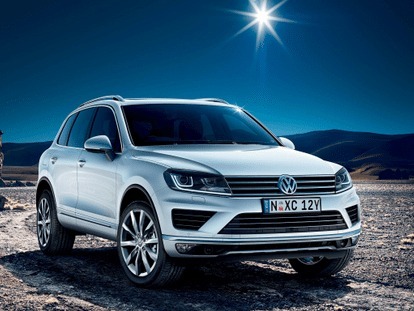 The Touareg is ready to handle anything with a host of new features that already add to the powerful performance. Experience the ability to go where you choose, near or far, on-road or off, with the superior functionality that handles any trip with ease. 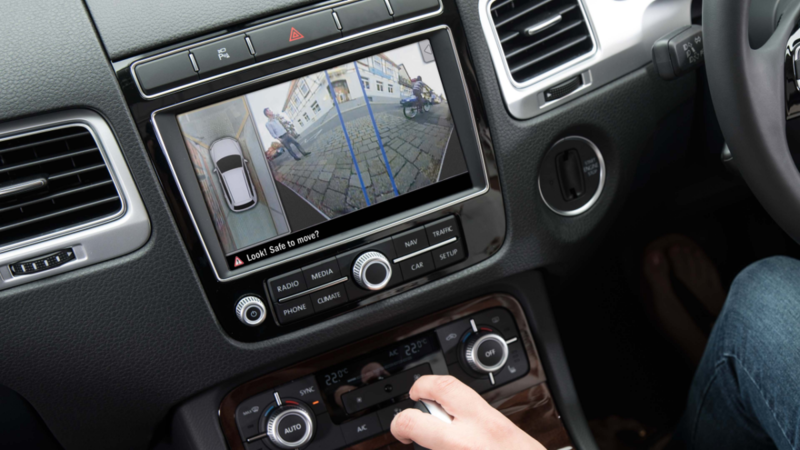 Nothing will hold you back with the Touareg’s advanced ABSplus and Hill Descent Assist that offers enhanced off-road capability on loose surfaces such as gravel and sand. Decide the feel you want with an array of driving profile selections, with selectable air suspension settings. Choose from either Comfort, Normal or Sport self-levelling suspension options to suit any driving preference.